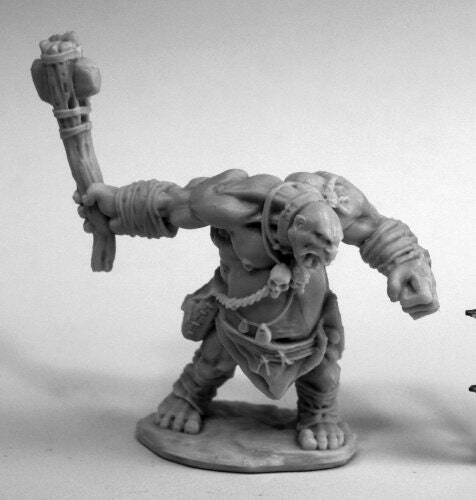 This combatant ogre manufactured by Reaper Miniatures is ready for painting and perfect for inclusion in your next Dungeons and Dragons or other tabletop roleplaying game. Looking for dice, miniatures, and more gaming supplies? Check our web store at https://www.roll4itdice.com/ for our full list of available items.